Property of the Week: Winlsow House 1 Level Condo with 3 Bedrooms! 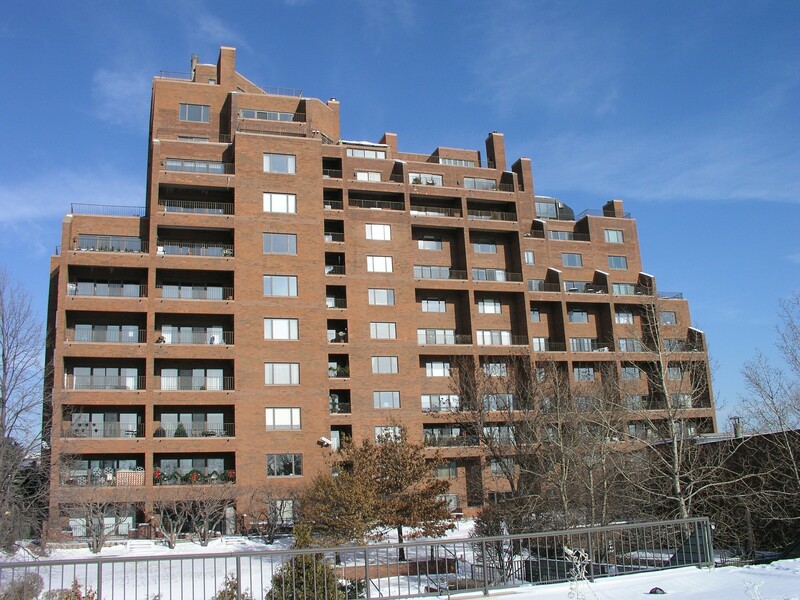 Grand Size “Winslow House” one level condominium voted “Best Panoramic Skyline Views Day & Night” with three bedroom and two baths. Spacious living room with parquet wood flooring, built-in shelves, 9 foot ceilings, and a full wall of patio doors leading to a covered private balcony overlooking the courtyard and city & river views. Kitchen with abundant cabinets and countertop space. Huge master suite with full private master bath, built ins and 3 closets. Also walks out to the private balcony. Second bedroom currently used as a den with built in shelves. Third bedroom perfect for guests! Enjoy lush landscaped grounds along with the outdoor pool. Plus front row seats to fabulous fireworks 4 Times a Year! Prime location within easy walking distance to new Lund’s grocery store, Minneapolis Riverfront District, shopping, entertainment & restaurants. Enjoy this private oasis in the middle of the city! Appliances Include refrigerator, Stove, dishwasher, disposal, washer and dryer. Amenities Include Outdoor Heated Pool, Free Laundry/Ice Machine, Party Room with Full Kitchen & Very Private Lush Landscaped Grounds. Monthly Association Dues of $1,318 Includes: Basic Cable, Heating, Sanitation, Snow/Lawn Care, Car Wash, Outside Maintenance, Hazard Insurance, Water/Sewer, Building Exterior, Shared Amenities, Total Furnace Maintenance & Repair. On-Site Desk Attendants, Professional Management. Spectacular “La Rive” condominium overlooking the Mississippi River and Minneapolis Skyline with nearly 360 degree panoramic views . This exquisite home has 2 bedrooms, 2 baths and 2 balconies. Living room includes a custom built in cherry wood entertainment center, corner windows with granite ledges/storage. Gourmet kitchen has custom built cabinetry, granite countertops, special lighting along with high end appliances. Large Master suite captures the sunrise along with a beautiful full master bath. Second bedroom/ office has French and Pocket doors. Enjoy this prime location within easy walking distance to Lund’s grocery store, Minneapolis Riverfront District, shopping, entertainment and restaurants This condominium is designed with every fine detail in place together with a carefree lifestyle makes this home a 10! Visit www.MichaelSharp.com for more info. Over 70% of homeowners in foreclosure never talk to a professional about it because they are embarrassed. Save your credit – do a short sale! Short sales happen when a lender agrees to accept less than the amount owed against the home because there is not enough equity to sell and pay all costs of sale. Not all lenders will negotiate a short sale, and that is why a real estate agent can be a tremendous help. On Monday, November 30th 2009, the US Treasury set new guidelines to simplify the short sale process. They have set limits on how long it takes for a bank to approve an offer. Mortgage servicers have 10 days to approve or disapprove a request for short sale, and when done the transaction must fully release the borrower from the debt. It also prohibits mortgage servicing companies from reducing real estate commissions on the sale.